As you know, a mortgage loan is made up of capital and interest that is repaid to the bank in monthly instalments. 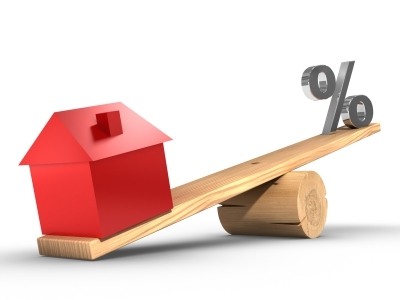 Depending on the type of loan you take out, the interest rate may vary, increasing or decreasing as the case may be but the “floor clause” determines a minimum interest rate that would apply throughout the life of the mortgage. The floor clause was introduced by banks to compensate any economic loss they may suffer because of variable interest rates and many applied a floor clause of about 3,55% (or higher) so when Euribor reached historical lows, many did not benefit from it because the floor rate determined in their contract was higher. On the 9th of May, 2013, the Spanish Supreme Court issued its first ruling annulling mortgage floor clauses. To sum the ruling up, it declared floor clauses in numerous mortgages null (though not all), considering this clause was agreed with a lack of clarity and transparency (there was a lack of information, it was included along with a ceiling clause, or was buried in an overwhelming amount of data, etc.). A lack of information regarding the nature of the floor clause or it is presented in a way that makes it seem irrelevant so the applicant doesn’t fully comprehend the impact it will really have in the long run. The bank does not provide simulations to show or explain how the interest rate may affect them further down the line. The bank does not provide clear and concise cost comparisons about other mortgage alternatives that do not involve the floor clause. This means that every individual case must be looked at carefully, in order to rule out those that are illegal because they don’t meet the criteria, and keep those that were or are contracted with the full knowledge of the consumer. Also, shall be of interest that your solicitor checks up if your bank is one of those who has been awarded sentences against on this matter, and what is their current attitude. What can you do if the floor clause appears in your mortgage loan? Approach the bank in question and ask to speak to the manager. If this initial meeting is not successful, you can write a claim to the bank’s complaints investigator who must respond within 2 months in a legal manner that must outline a valid line of argument. It is usually advisable this claim is formalised under supervision after checking with your solicitor the main content of it. If the response is negative still, you should lodge a Claim before the Banking Ombudsman of the Bank of Spain, charged with resolving this type of dispute. Their response must be issued within 4 months and the final report may be used in court if it determines the floor clause to be abusive. Before you rush madly to your local branch screaming and shouting, an important point to remember here is that not all cases are classed as abusive, especially if the floor clause was disclosed beforehand and even if a judge rules the clause to be abusive, it does not necessarily mean that compensation will be granted for losses sustained when the official interest rate fell below the floor rate established in contract. Can I obtain my money bank? Our High Court stated clearly that this court order was non-retroactive, and would not affect previous payments already made. Thus, the TS declared that Banks could not be forced to the return of the interest overpaid, understanding that a general declaration forcing all the banks to pay back interests already overcharged, could have meant a serious problem to the economy of the country as a whole. But, non-following this criteria, several new court orders from other courts have been published, such as from the Provincial Court of Cuenca, where the Castilla La Mancha Bank was forced to remove the mortgage floor rates from the agreement and return the interests overcharged. Similar rulings can be found in court orders in Málaga, Ourense, Alicante, etc. Most of these Court Orders understand that these individual returns claimed for, by themselves and one by one, do not imply by their amounts any risk for the national economy and the banks must pay back the overcharged interests. So, before you rush madly to your local branch screaming and shouting, an important point to remember here is that not all cases are classed as abusive, especially if the floor clause was disclosed beforehand. Even if a judge rules the clause to be abusive, it does not necessarily mean that compensation will be granted for losses sustained when the official interest rate fell below the floor rate established in contract.